An unknown planet could be lurking nearby. Rogue planets are quite unusual –they exist outside of a star system and can even escape their home systems and travel alone through space. Now, researchers James Vesper and Paul Mason with New Mexico State University think there might be one rogue planet lurking near the fringes of our solar system. 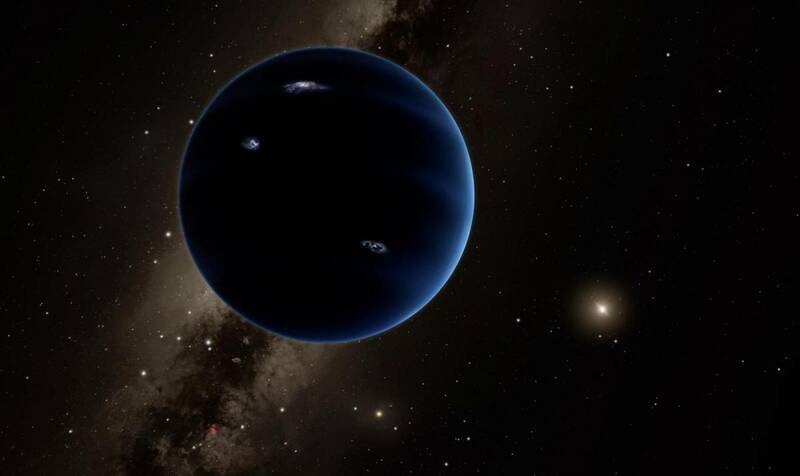 In a paper presented at this year’s American Astronomical Science meeting, and published by the American Astronomical Society, the team argues that the mysterious Planet Nine — proposed to exist just two years ago — could be a rogue that was captured by our solar system. There’s little else that we know about Planet Nine, apart from the possibility that it exists well beyond Pluto in an area known as the Kuiper Belt. Observed gravitational patterns suggest Planet Nine is lurking somewhere there. Vesper and Mason conducted 156 computer simulations of how rogue planets could be interacting with our solar system — and they assumed the rogue planet to be like Planet Nine, about 10 times the size of the Earth. In their tests, they concluded that rogue planets would encounter our system60 percent of the time. In those cases, a rogue planet would come and go, possibly taking a smaller or dwarf planet with it. In some instances, however, it’s possible that 40 percent of the time a rogue planet would instead be captured by our Sun’s gravitational pool and remain by the fringes of our system. If a rogue planet did get captured, it would orbit the sun at around the same speculated distance Planet Nine does — which is approximately 1000 AU (the Earth resides at 1 AU). It’s also unlikely that it would be bigger than Neptune, since there haven’t been any noticeable disruptions with the order of the solar system to suggest that something larger has entered it. Computer simulations are helpful, especially since they normally use facts and figures that have previously been observed and confirmed. It’s unavoidable that we rely on such simulations in studying the known universe because we don’t know much about what lies out there. We have accumulated a lot of information over the years, thanks to the different space exploration tools we have in place — satellites, ground-based telescopes, and space telescopes of all sorts of types have contributed greatly in improving our knowledge of the universe. But these do have their limitations, undoubtedly. Right now, for example, we can’t even confirm if Planet Nine indeed exists. Which is why we continually improve our space-observation capacities with better technology. Among these is the James Webb Space Telescope (JWST), which was completed late last year and scheduled for launch in 2018. It’s payload of advanced mirrors and lenses make it the largest and most powerful space telescope ever, and it will significantly boost our ability to see in space. Perhaps it’ll be the one to confirm Planet Nine’s existence, as well as many of the other mysteries of space. We just have to wait and see.